Sustainability at NMSU is a lifestyle and a responsibility. It relates to improving and maintaining the quality of human life while preserving the integrity, stability, and beauty of ecological systems. We take this responsibility seriously in Housing & Residential Life! Many green initiatives have been put forth to decrease our carbon footprint and give back to our beautiful community while promoting recycling and conservation within our residential communities. Blue recycling totes are in each student room to encourage students to recycle and aid them in sorting these materials. Large recycling dumpsters have been placed throughout campus and within short walking distance to all of our residential communities. Blue recycling polycarts have been distributed to each household in Tom Fort and Sutherland Village with weekly pick up. Low-flow shower and toilet features. Water and energy-saving laundry facilities. Water bottle refilling stations have been installed throughout campus. Replaced roof at Garcia Hall with energy efficient roof that blocks 95% plus of UV rays and reduces the heat load approximately 45% on the roof reducing the HVAC needs for the building. Added motion sensors to residential rooms in RGH that turn off the heating and cooling system when the rooms are unoccupied or the door is left open more than a few minutes. Replaced all lights over food service stations in Taos Restaurant reducing our energy consumption significantly. Recycled 550 mattresses in 2013 that resulted in 34,000 pounds of material not being placed in the landfill and 97% of each mattresses being recycled for future use. Initiated a program to replace cleaning chemicals as appropriate with “green certified” cleaning materials. Replaced a majority of lobby tile with ceramic tile in our facilities to reduce the need to use stripper and wax and, thus, help to eliminate toxic chemicals in our buildings. 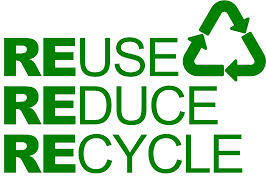 Continue to recycle all furniture when refurbishments and upgrades take place in our facilities. Reduced our vehicle fleet by approximately 22% during the past 4 years. Replaced 400 porch lights at Cole Village with energy efficient alternatives that have photocells and turn off during day light. Replaced 10,500 65-watt incandescent light bulbs with 13 watt CFL light bulbs. Chamisa II, completed in 2012, was built using strategies aimed at achieving high performance in human and environmental health standards. This has resulted in achieving LEED (Leadership in Energy and Environmental Design) Gold status, propelling Chamisa II to be one of the first housing facilities in the state to achieve such a status. From sustainable site development to energy efficient materials selection to indoor environmental quality, this building and all of its components were designed with the environment in mind. While shopping for college, we encourage you to make environmentally responsible choices. You may not think your individual choices will make a difference, but collectively, we make a difference together! Every decision and choice you make will have an effect, so here is our way of making it easy for you to have both a positive effect and a green living experience while you are at NMSU. Do you really need two computers, a 60″ tv, three gaming systems and 42 pairs of shoes in college? Probably not. Think about what you will buy and bring to campus. If you don’t really NEED it, leave it behind. If you decide you really do need certain items, especially for your new room, consider holding off on bringing and buying everything until you are settled in. You may discover that you don’t need as much as you thought you did. Additionally, consider buying used items at local thrift stores and make sure to consult with your roommate(s) so you do not duplicate efforts. Save the environment and save money! There are many items that can be easily reused, such as shopping bags, batteries, clothing, utensils, room decorations, and books. Reusing water bottles and cups just got easier with the refillable water stations that have now been installed throughout campus. Additionally, discounts are given at many of our dining outlets on campus for bringing reusable cups! Recycling totes come with every room on campus and recycling dumpsters are located throughout campus. Use them! Use alternative transportation such riding your bike or taking Aggie Transit. You will save the environment and your wallet while burning some extra calories at the same time! Eliminating toxic chemicals from your life is good for you and the environment! Consider using green cleaning and personal products. Buy organic and local. This may seem more expensive at first, but in many cases, organic alternatives can be less expensive. To learn more about our campus sustainability efforts, please click here.